Guinness pint glass. 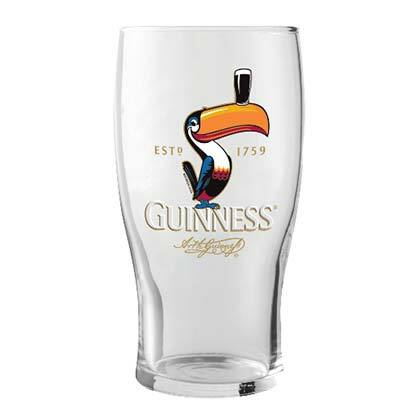 This 16 oz beer drinking glass features the authentic Guinness logo and a "Toucan" image. Officially licensed.